St. Joe’s has introduced a formal STEAM (Science, Technology, Engineering, Art and Math) program throughout its curriculum. The STEAM initiative will teach our students essential 21st century skills and prepare them for college and beyond. In addition to changes inside the classroom, it provides our students with the opportunity to explore technology further in extracurricular activities, including the Robotics Club, the 3D Printing Club and a MakerSpace area in the Media Center. 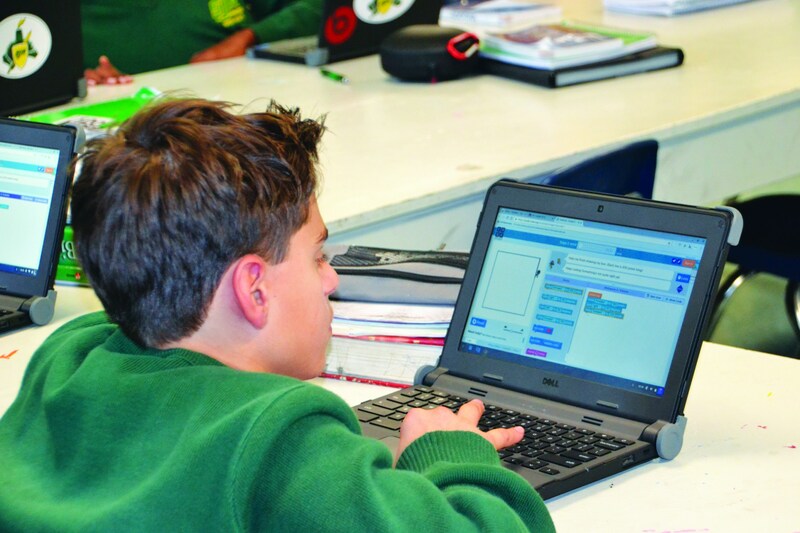 SJR has introduced a revamped technology curriculum for freshmen and sophomores that incorporates a sequence of lesson plans (in computers, electronics and robotics) developed through a partnership with Stevens Institute of Technology. 3D technology can be used to build models and prototypes of mechanical, architectural and artistic designs to further practical understanding. St. Joe’s has also enhanced its engineering program. From combustion engines to drones, students can design and engineer using hands-on trial and error learning. 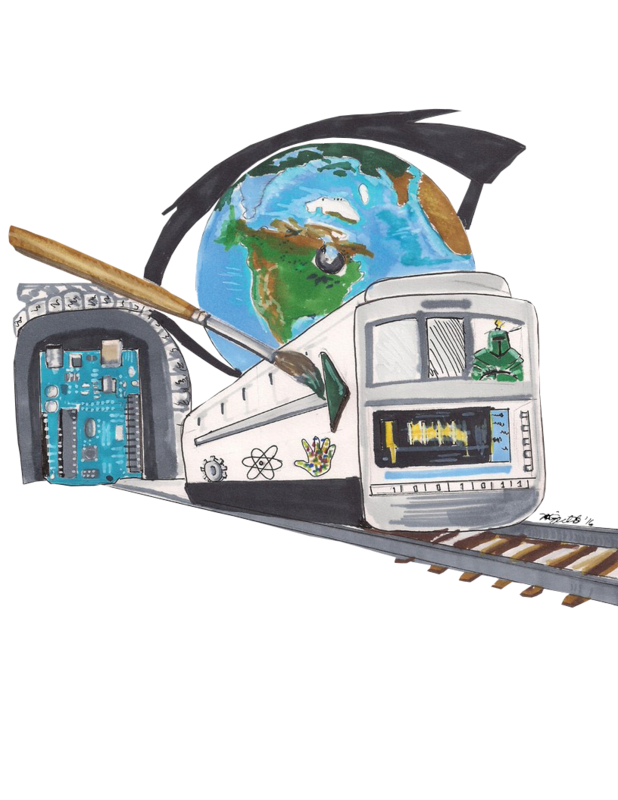 As part of the STEAM initiative, students can take a “Principles of Engineering” elective, available for juniors and seniors. 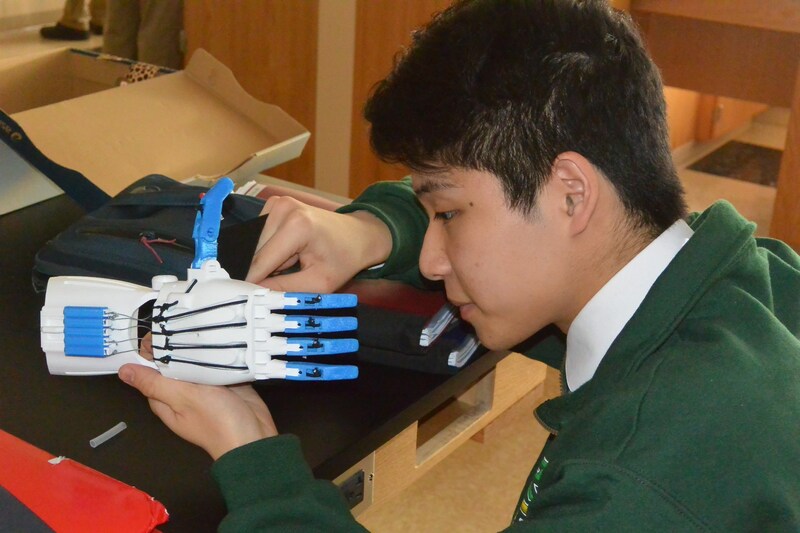 One group has been working on constructing prostethic hands, the final product to be sent to a hospital in Venezuala for use by an amputee in need. The program includes the incorporation of interactive STEAM lesson plans into current math and science courses to engage students through project-based learning. The second half of the 2016-2017 school year will see the implementation of aligned “Learn by Doing” lessons, more etextbooks and interactive gizmos and widgets. All subjects can be transformed to challenge students to think differently and more critically. SJR’s new integrated Global Arts core curriculum focuses on art integration - freshmen and sophomores will study the relationship of art with social studies, science, math, geography, theology and technology. For example, they’ll analyze the work of modern-day comic book artists, like Stan Lee. Students study concepts through the eyes of history (inspiration from ancient Greece), math (proportions) and theology (“What makes a hero?”). In addition, SJR offers an “Hour of Code” opportunity for students to learn artist coding and 3D imaging. 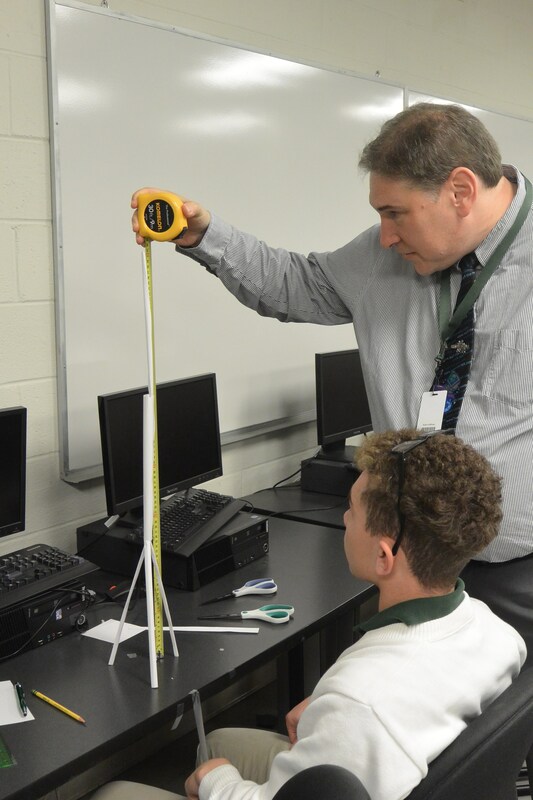 SJR offers enrichment opportunities beyond the daily schedule as well. The Robotics Club has nearly 30 total members, with many gathering several times a week to enhance their creations. The group recently competed in the Vex Robotics Competition, the world’s largest event for middle and high school students, and has three more competitions on the schedule in 2017. The Robotics movement is headed by Mr. Norman Myatt and aided by two alumni, Eric '15 and Lucas '15 Baskayan, who have donated their time to assist the current SJR contingent. The MakerSpace program enables students a chance after school to use arduino boards, Lil Bit’s kits and basic TinkerCAD skills. The only rule is to learn and to make what they want. The 3D Printing Club uses many of those same technologies in a more structured environment. 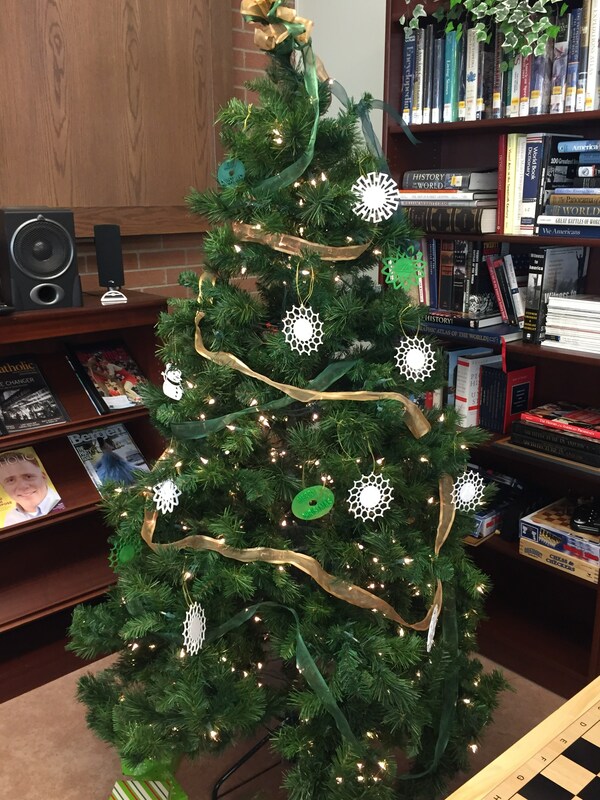 In December, students designed Christmas ornaments which adorned a tree in the Media Center. 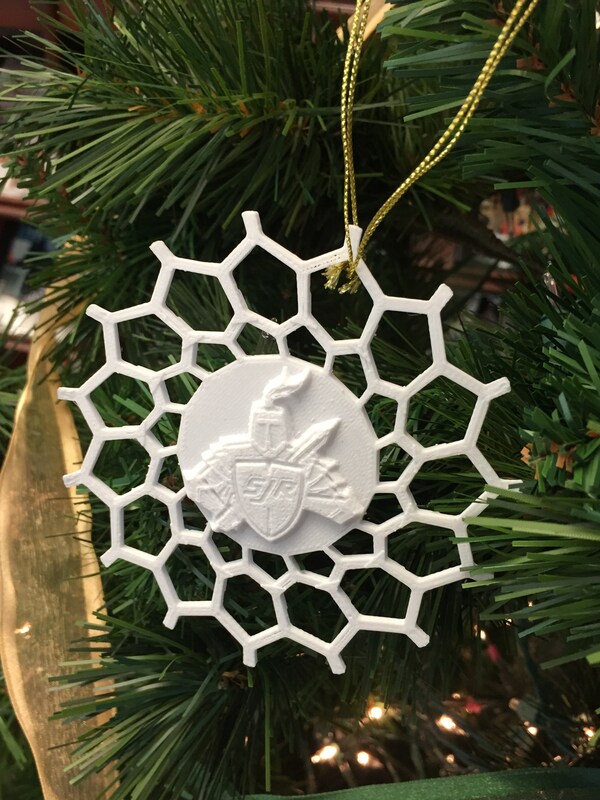 SJR’s own created custom snowflake designs of their choosing along with, of course, a Green Knight logo.